How do you play against a successful player who barely seems to know how to play? That’s the question that lingers in Macau’s glitzy card rooms as Gung Ho rakes in another uncontested pot sporting a wardrobe last seen in the Metro-Dade police station in 1986. Gung Ho’s thirst for action is as unquenchable as his thirst for cheap beer. The only lost pot is the one you’re not in. 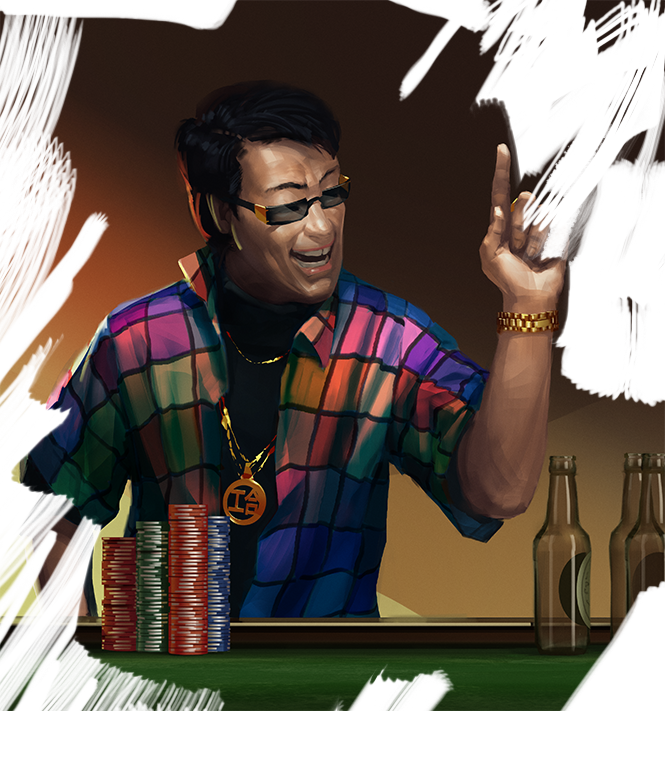 Want to bluff, steal a big blind, re-raise every one out the hand on the river or pay for you own drinks ? Find. Another. Game. You lose some. You win more. Can that strategy really hold up against a field of players used to going to the wire?